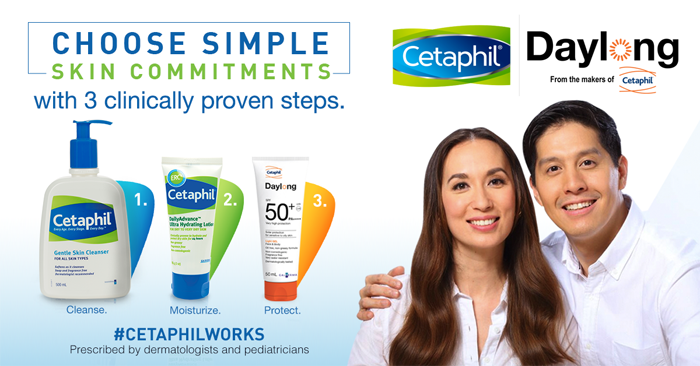 Cleanse, Moisturize & Protect -- this is what leading therapeutic skincare brand, Cetaphil's new campaign titled "Choose Simple Skin Commitments" is all about! Their new campaign aims to educate Filipinos on the value of following a skincare routine to ensure that one’s skin remains clean, hydrated and protected all-day. It is poised to inspire Filipinos to take better care of their skin as the brand educates consumers on the importance of keeping one’s skin healthy, making them look and feel good everyday. First step: Cleanse. The first, and the most basic step of any skincare routine is facial cleansing. During this step, consumers are able to have their skin rid off dirt, oil, dead skin cells, and other unwanted pollutants that could damage one’s skin. By cleansing off the impurities, one would not only be able to lessen dirt buildup, he/she will also be able to prevent the produce of excess oil. The Gentle Skin Cleanser is fragrance-free, soap-free and non-comedogenic. Second step: Moisturize. Did you know that one has only approximately 3 minutes before water evaporates from one’s skin after one takes a bath? During that short window, it is imperative to moisturize skin to keep it hydrated. Moisturizers are able to do this by sealing in the moisture, therefore not allowing water to easily escape the body. By keeping skin moisturized, one would expect their skin to feel smoother and softer. Not to mention it also has anti-aging benefits, revitalizing the skin and slowing its aging process. Cetaphil's DailyAdvance Ultra Hydrating Lotion contains ERC5 which is a combination of 5 key ingredients which guarantee skin hydration that will last up to 24 hours, and could be used for both face and body. Should one have very dry skin or even normal skin, this moisturizer would be suited to address one’s daily moisturizing needs. Third step: Protect. While people are aware of the importance of applying sunscreen during summertime, Filipinos have yet to get into the habit of wearing sunscreen everyday. Daily protection from the sun keeps skin from damage caused by harmful UVA and UVB, which in turn helps prevent skin from losing elasticity, forming age spots and wrinkles, and getting sunburn. 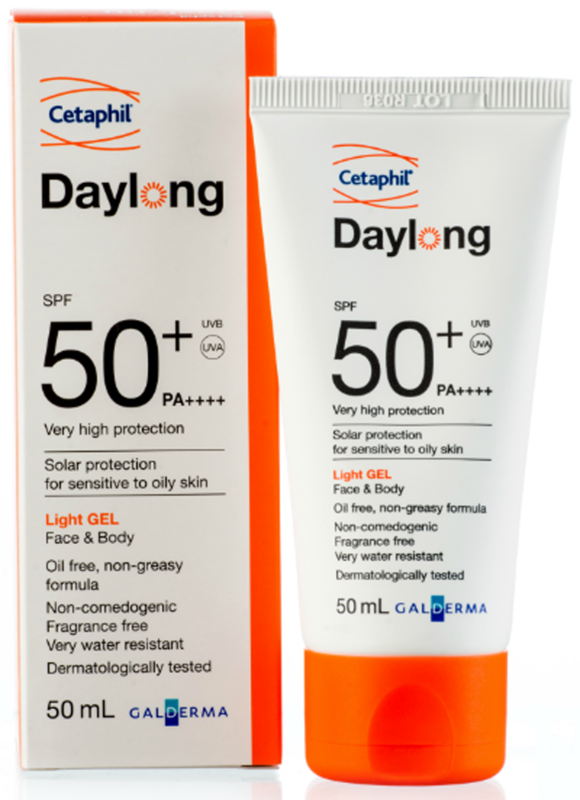 The Daylong Gel SPF50+ offers strong protection from the harmful rays of the sun, while remaining also lightweight, non-sticky and non-greasy. This sunscreen also protects on the cellular level which ensures maximum protection. Learn more about the Choose Simple Skin Commitments campaign through this video! Have you tried a Cetaphil product? Share us your review for a chance to win Cetaphil products!